Feel free to contact me for other places and options! The so called rancho las hamcas is a calm area just outside of San Agustinillo but only about 10minutes walking distance to town and on the side of the beach. Here lives the family Silva, who are also famous for their handmade hammocks, which gave name to the place. Some foreigners as well as mexicans from other parts of the country have already made their dream come true of a little house by the sea in this nice area. -just beside the ‘mirador’ with awesome view over the bay. A lot of : 9m south, 22m north, 29m west at the side of the driveway, 28m. east. Price: 2.2 millions of Mxn. -on the hillside with a view to the southeast. A lot of: 20m north on the driveway, 40m east, 25m west and down to the south 24.5.m. Price:1.5 millions Mxn. -on the other side of the driveway on the hill looking northwest, size 20 by 20 meters for 350.000 Mxn. 4 floors of living space, 3 floors fully screened. 3 bedrooms each with full bath + two half baths. Open architecture, ocean front 53 foot length. Salt water lap pool, total water recycling system, extensive rain water collecting cistern. 16 solar panels, fully air conditioned. mature tropical and cactus gardens throughout. The Rancho Macondo counts with a huge property of 2,5 Hectars! It is sold all together or half of it, one half includes the cabañas. Ranco Macondo is as idyllic and hidden away as its namesake from the book “100 years of solitude”. Situated on the hill behind Mazunte it benefits from a peaceful, stunning position, overlooking the ocean and Punta Cometa with no other properties on its skyline.The three cabins are spread out over a large area, interspersed with natural landscaping, lush local trees and flowers and a quirky sculpture area. The natural feel extends to the ethos of self-sufficiency: Macondo is 100% solar energy. Rebeca is the largest and best positioned of the cabins, sitting on the side of the hill and enjoying breathtaking views of sunrise and the ocean from the terrace and bedroom. It consist of one double room, kitchen and dining room and beautiful stone bathroom. The fair-sized terrace has beach chairs and a hammock. The kitchen has all the basics, including a small solar mini-bar fridge. 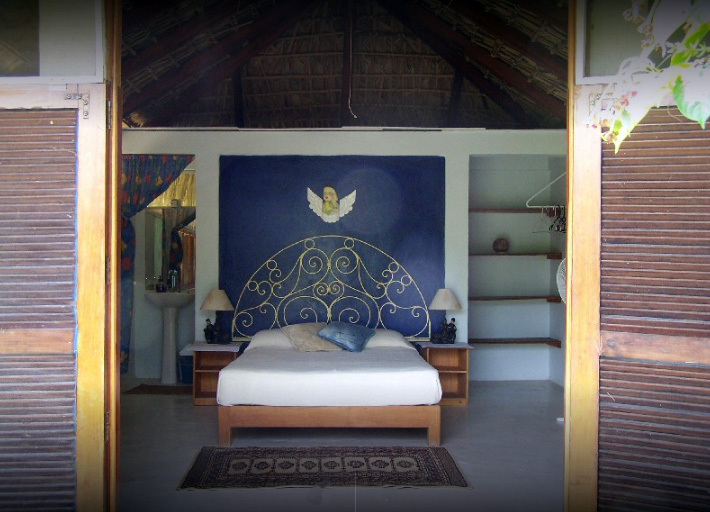 Amaranta is a sweet, airy cabin, set amongst trees and overlooking the beautiful gardens and ocean. There is a King-size bedroom with en suite bathroom, a basically-equipped kitchen with solar fridge and a dining area on the large terrace with hammock. Pilar feels like a treehouse, with its wooden structure and position in the garden. The downstairs area consists of a kitchen with the basics, (no fridge), dining area and stone bathroom. The upstairs houses the double bedroom and a small terrace with great views. Rancho Macondo has parking for one car per cabin, we recommend using 4x4 as the access is sometimes difficult. Having a car is recommended for access to shops and beach. Macondo is 1kl from the town and beach, around 15-20 minutes´walk uphill. 35*45*40*50 metros for 1.400.000 Pesos. 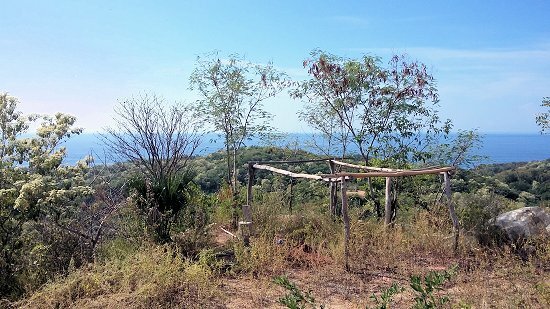 Beautifully situated Lot in the Pueblo Magico of Mazunte, Oaxaca. 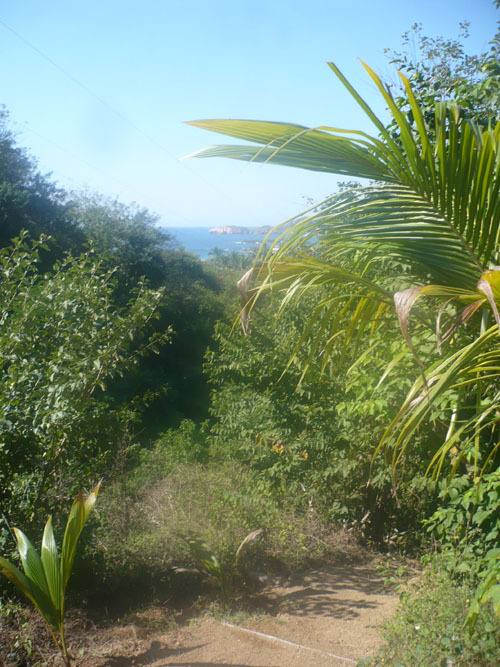 Arroyo tres is a small community between San Agustinillo and Zipolite. There are 2 big properties a little outside of town for sale. -a big piece of land on top of a hill with an impressive 360 degree view on one side of the ocean , on the other side of the backland. A nice place for a bigger project. Size: 200meters of longitude and at the endings each 15 meters wide but in the middle it reaches 40 meters of width. To this property belongs a lot of 30*30 meters down the hill, close to town with electricity and water access. Price: 950.000 Mxn. -another big property with form of a boot, also up on a hill so with nice ocean view to a very attractive price. Same owners as the other property so electricity and water access is planned as above. Size in total: north 78 meters, east 37 meters, west 55 meters, south 80 meters. Prize: 250.000 Mxn. Feel like you"re at the edge of the earth in your own private Cliffside Villa by the sea–just beyond the quaint fishing village of Puerto Angel. It even has it’s own small but completely secluded little playa when tides are right. 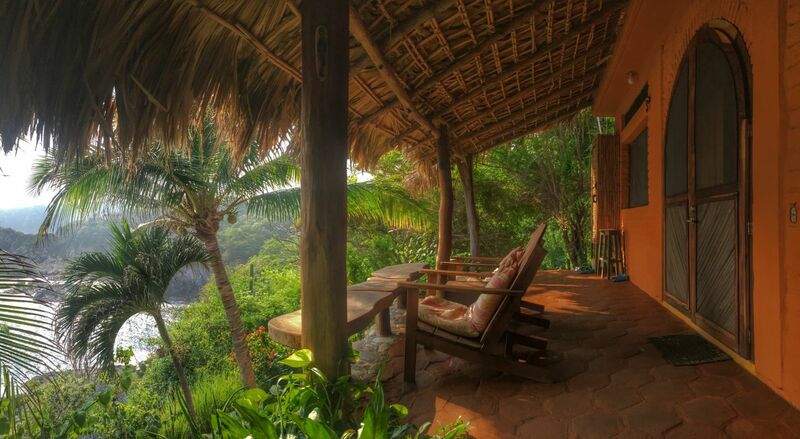 For rent or for sale, this serene slice of paradise on the Oaxacan Coast comfortably sleeps six. There are two separate bedrooms and a fold-out futon in the large, open living-room space, which contains a full kitchen, living room and office. The second floor of the main casa is a large, palm-roofed, open-air Palapa Bedroom with the highest and most spectacular view on the property. A separate, screened-in Cabana Bedroom is just a few steps down the path, beside a traditional casa de baño where guests can shower with an ocean view. There"s also a washing machine and clothesline for your convenience. 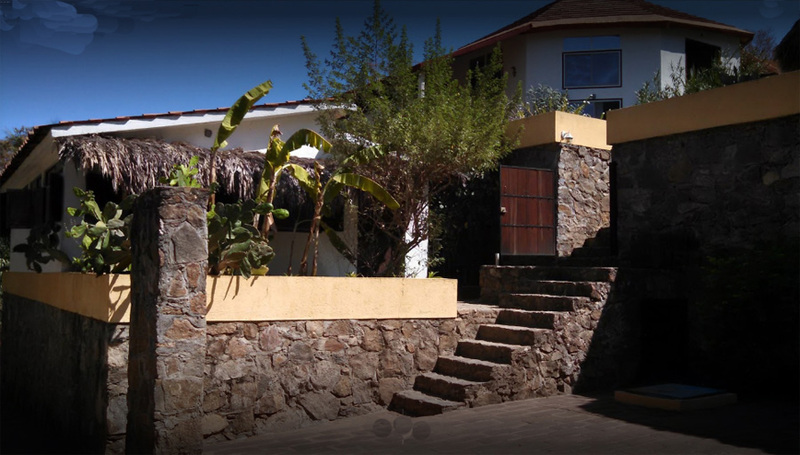 The villa is tucked behind a secure entry gate on a safe, residential, newly paved road, has an operating smart TV and two of it’s own secure wifi networks.